The oval entrance hall of this eighteenth century mansion, with walls dotted with niches, leads to the garden and a hanging Grand Staircase. 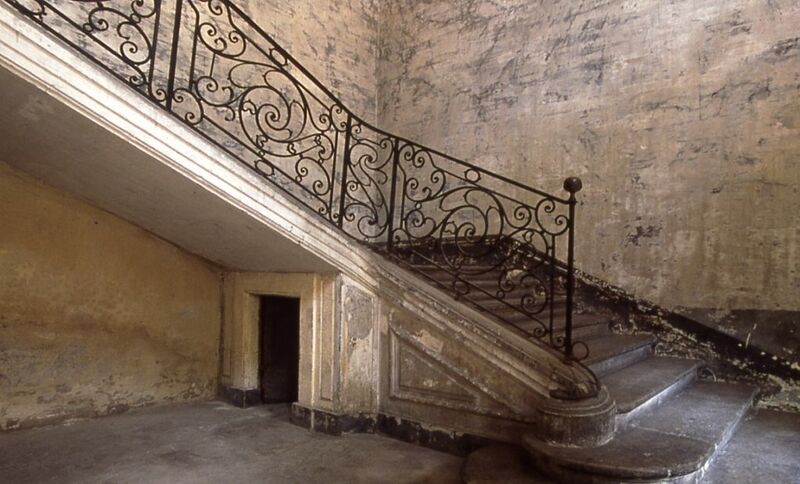 The ironwork banister has a décor of scrolls and curves fashionable in the eighteenth century. The building was remodelled between 1760 and 1770. The family initial can be seen on the ironwork balcony above the ceremonial gate in the centre of the street facade. This mansion now belongs to the City of Nîmes and part is used as municipal offices.